The Sting Ray Pup was added in the recent Alpha patch. It comes in a few different colors (pictured above), however only the red version is currently collectible. Unfortunately it's still unclear how we'll collect this interesting aquatic pet. The Pet Journal entry on Alpha has identical information as the Land Shark and Sea Calf, but the sting ray will likely be from Legion content. 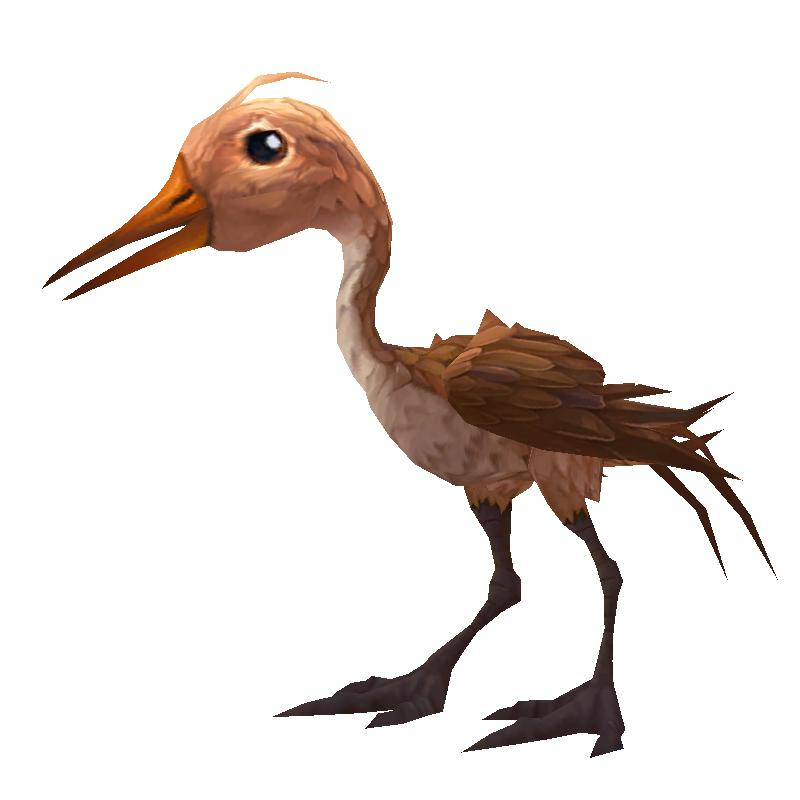 In addition to the Sting Ray Pup, an absolutely adorable sandpiper model was datamined (pictured right). It has not yet been confirmed as a new battle pet, but we certainly hope that this cutie will be adoptable in Legion. A new item was added to Legion Alpha, one that will make many pet collectors and battlers very happy: Pocket Pet Portal. This on-use consumable will increase the number of pets allowed in your Pet Journal. The new cap in Legion will be 1500 pets (up from 1000). It's still unknown how we'll obtain this amazing item, but we can't wait to get our hands on it. Space for even more pets? Yes, please! Last but not least, a new pet treat and reward bag was datamined. The Ominous Pet Treat is a consumable that will temporarily "corrupt" your target pet with energy from the Void. Currently Wowhead lists this consumable as a holiday item. It seems fitting for a Hallow's End update — a Void Lord costume for your pet would be fun! Or at least...we hope it's just a costume. It's also possible that this void-filled pet treat could come from a new reward bag, Pet Tournament Purse. Where the bag comes from is still a mystery, but if its name is any indication, a pet tournament is likely on the way. We'll have to wait and see where both of these items come from, stay tuned! I for one would not want the Ominous Pet Treat as an option in the Pet Tournament Purse. Why not? Because we would only need one of them to up the limit of pets. If it is a reward, we will end up with 200 of them that we can't use and if we are lucky they will vendor for like 5 silver. Let us buy the Ominous Pet Treat and get some kind of token/coin like the Celestial Tournament in the Pet Tournament Purse. More ways to spend them would be nice though. I suspect the Perky Pug is one of the most common pets in game. It's because the Perky Pug is earned by doing dungeons, which is something Blizz encourages us to do. I am curious as to why the costumes and hats are only for the purky pug. Would it be a ton of work to make those things fit other pets? (I don't expect it for all pets) Purky Pug is pretty low on my list of favs, so I was just hoping for something for other pets.